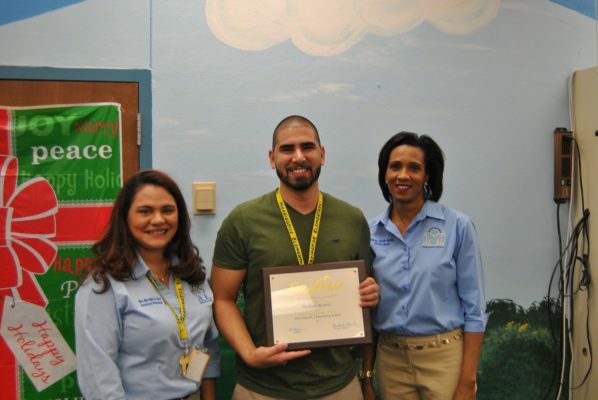 Morningside Elementary congratulates our Teacher of the Year Janice Elmasian-Therrien; First Year Teacher Michael Alvarez; Minority Teacher Sarah Williams; and School Related Employee Diana Crosdale. 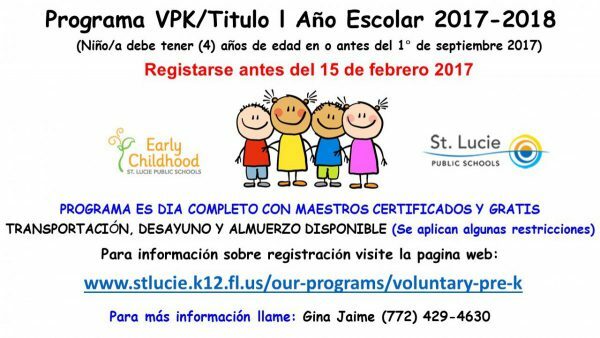 We are blessed to have staff that loves children and gives their all to helping them become the best they can be as people. 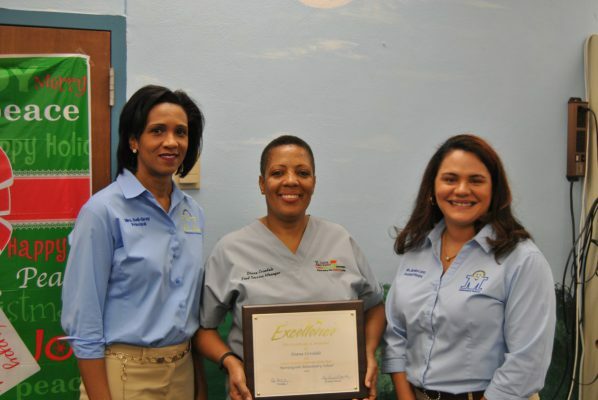 Northport Celebrates Solid Partnership With BBBS! 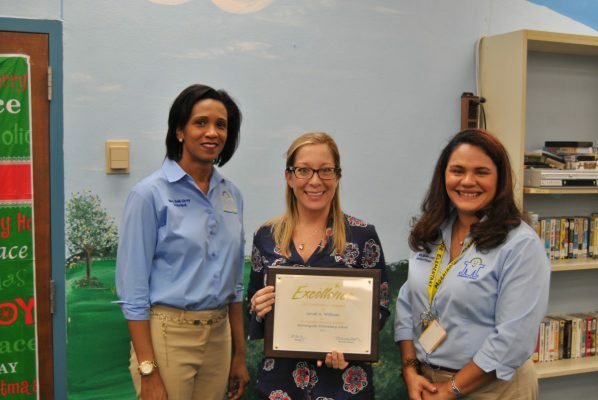 AICE Photography student, Sarah Lennig at Treasure Coast High School, scored the highest score in the NATION on her completion of AICE Art and Design for the 2015-2016 school year. 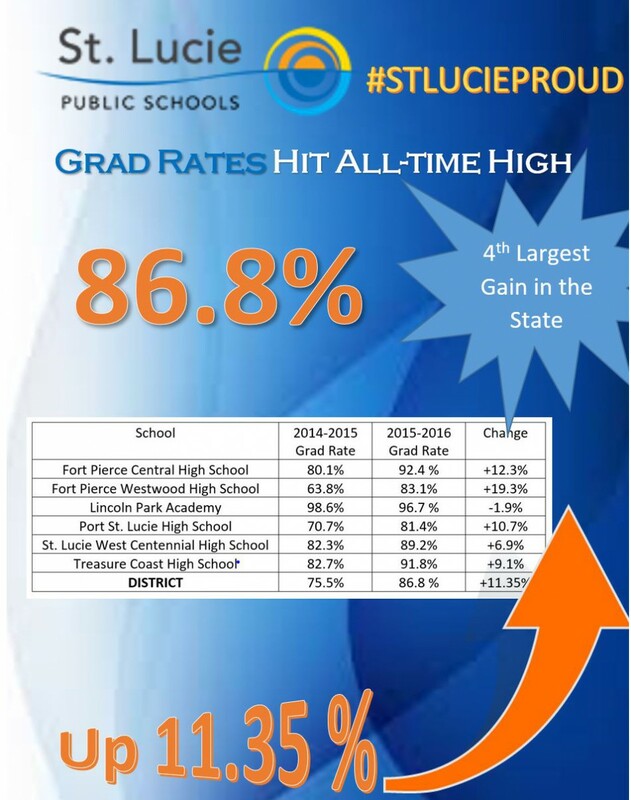 Grad Rates – 4th Largest Gain In State! 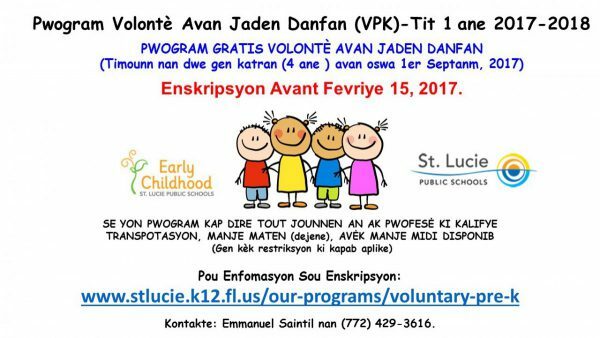 Do you or someone you know have a child who will be four years old on or before September 1, 2017? 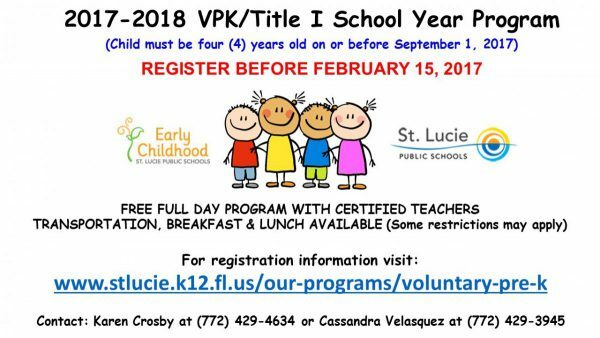 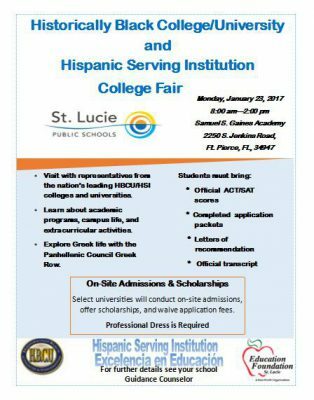 Registration for St. Lucie Public Schools 2017-2018 VPK Title I Program is now open.